The steps are explained in more detail below using the example of a stripline capacitor. 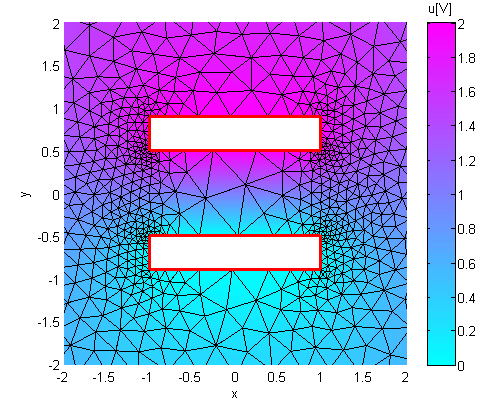 Finite element variables must be in P1 or P2. 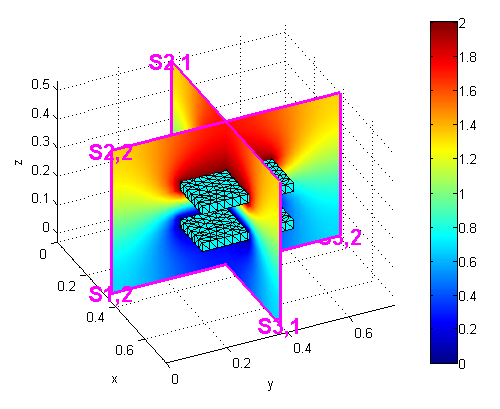 The simulation data can be 2D or 3D. 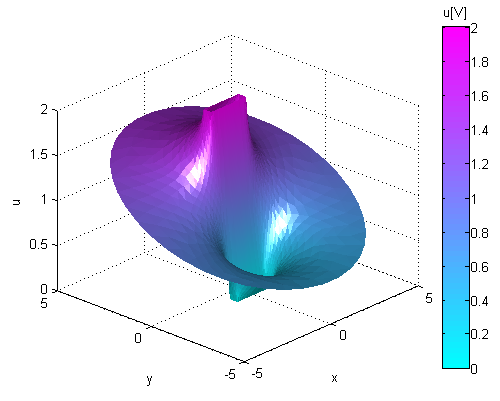 3D problems are handled by the ffpdeplot3D() command, which works similarly to the ffpdeplot() command. 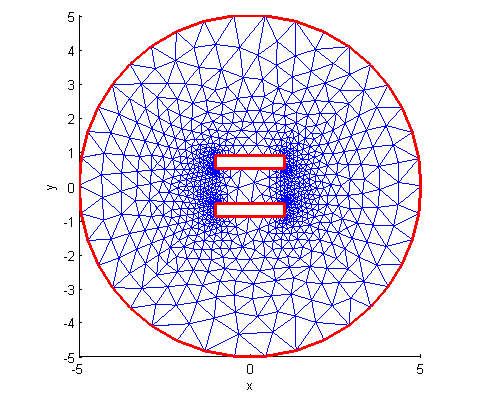 In particular in three-dimensions cross sections of the solution can be created. 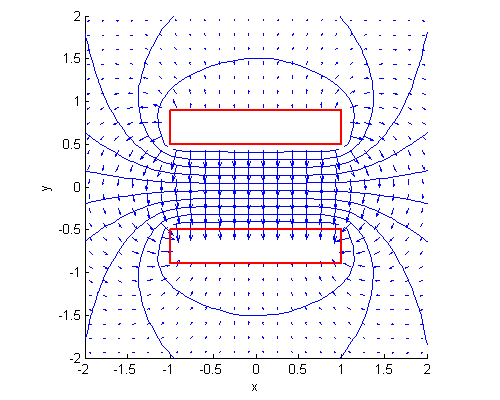 The following example shows a cross-sectional problem of a three-dimensional parallel plate capacitor.